The paving crew is applying the final touches to the newly paved 6′ wide path through the flower vendor area. 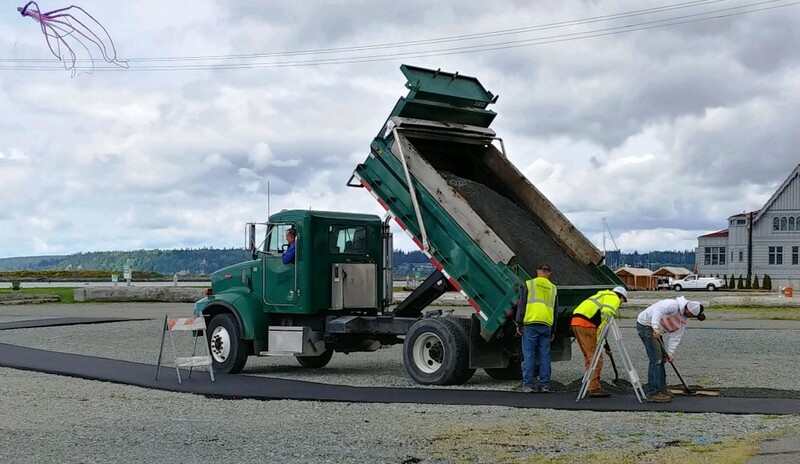 The Port of Everett and the Everett Farmers Market teamed up to create this Improvement so that everyone will be able to easily travel throughout the market. Thank You Port of Everett!